Are you thinking of buying or renting a property? Are you aware that you are entitled to a copy of the Energy Performance Certificate (EPC) for that property? From 1 February 2019, any vendor, landlord, estate agent or letting agent offering a property for sale or rent, either domestic or non-domestic could be subject to a £200 fine if they do not provide you with a valid EPC. Similar to the labels you see on fridges, and TVs, these certificates give you an indication of how energy efficient the property is and what the running costs might be. The information on the certificate will help you to make an informed decision as to whether this is the right property for you. 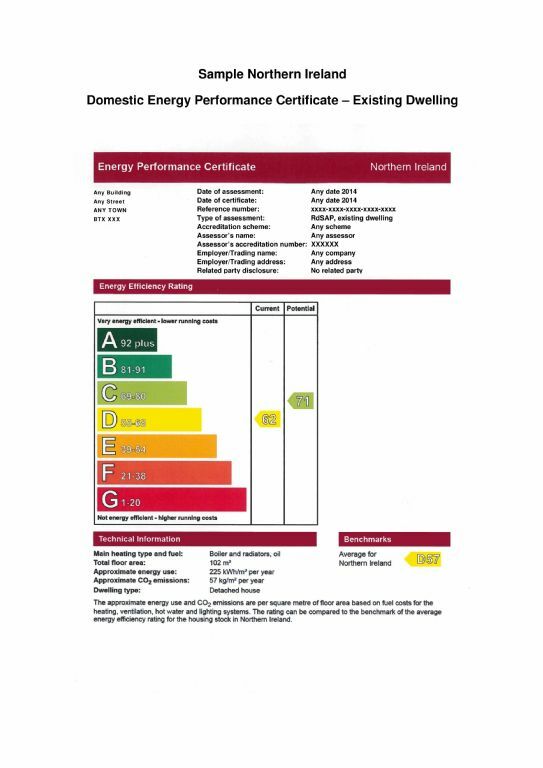 If you have not been given a copy of the EPC let us know, by contacting the Council’s Building Control department on 028 3031 3000.